Today I drove the African Impact Research Volunteers. This group of volunteers works on various animal research projects. 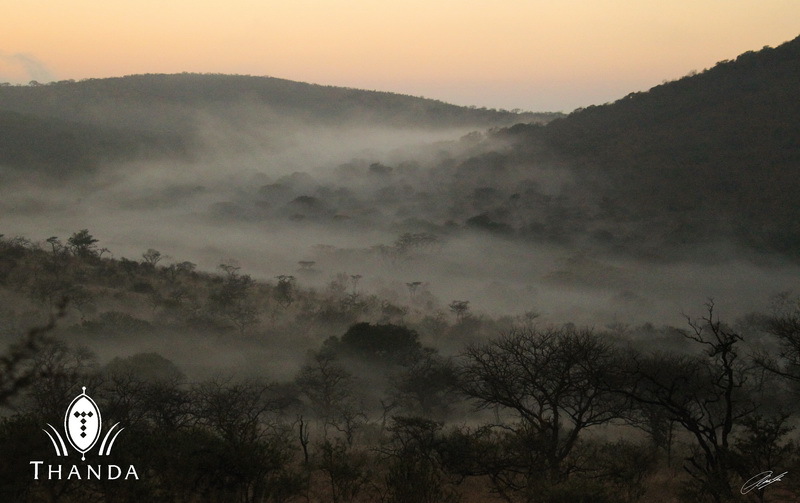 We set out when the morning mist was still lying over Thanda. The morning started well when we saw two Spotted Hyenas in the Thanda hills. We then viewed two Cheetahs and ended the morning with documenting the encounter of four of Thanda’s Elephant bulls. 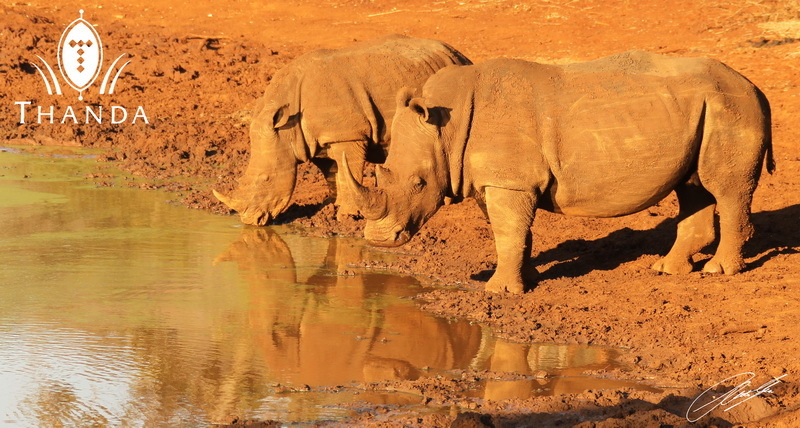 In the afternoon I wanted to find some White Rhinos and I found them at a small waterhole :-). The waterhole has almost dried up. In a matter of days all the water will have gone from this watering-place. 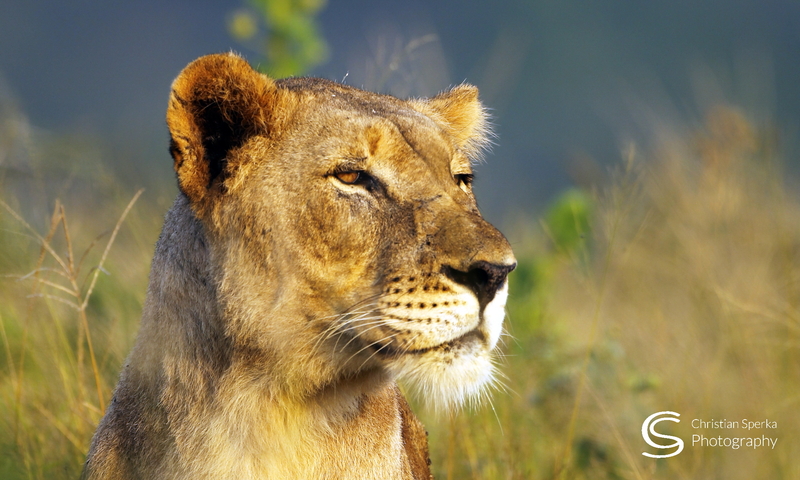 Afterwards we looked for the collared male lion (see yesterday’s blog). We were able to locate him with telemetry, but he was in very thick bush, so we could not view him. We then took sunset shots at the largest of our waterholes and on the way home we saw a small Black-backed Jackal calling at sunset. Another beautiful day in the bush! Christian, Glad to see that you had the opportunity to spend time with the researchers. Not only do you enjoy the photographic side,you also enjoy the research too. Hope you get many more opportunities to do hands ons research.Have another great day in the wild. Next PostNext A working day in the bush!